"The point is to ensure that we are punishing the correct person," said Alderman Megan-Ellyia Green, D-15th Ward, the sponsor. "We want to punish the perpetrator and not the victim. I am one of those one in three women who have been a victim of domestic violence. I was a renter when I went through that process, and I was very lucky in the support that I had from my landlord and my neighbors when the police would be called on almost a daily basis to our residence." 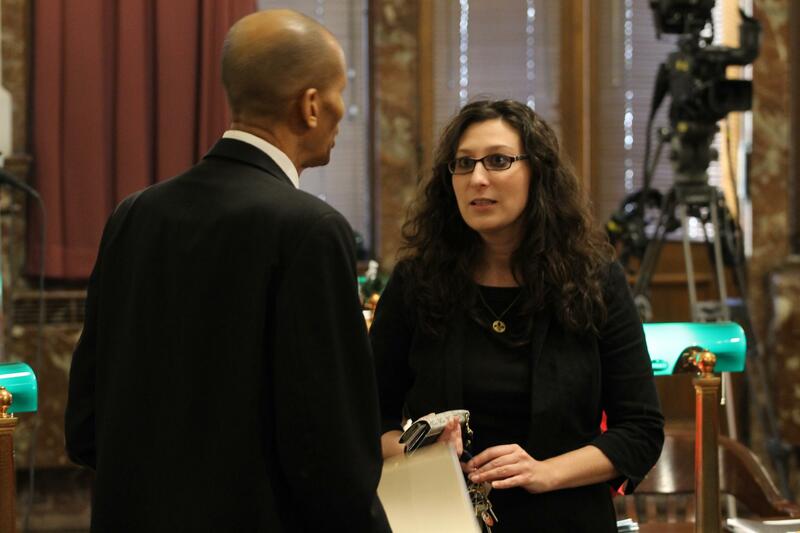 Alderman Megan-Ellyia Green (right) D-15th Ward, is sponsoring legislation that would give some protection against eviction to domestic violence victims. The change to the problem properties law has the support of the St. Louis Association of Realtors, the American Civil Liberties Union and the city counselor's office, who testified that it simply codifies a policy the office already follows. But it cannot override state law, which allows a landlord to evict a domestic violence victim for other reasons. And though Alderman Shane Cohn, D-25th Ward, was a supporter of the measure, he wasn't convinced that domestic violence victims would benefit. "I keep hearing that word 'protect,' and I just want to be very clear that this is not doing anything to protect anyone from eviction," he said. "It's a sentence in a letter that goes out to landlords and basically allows the landlord to formally know that the city will not evict people or try to shut down the property for domestic violence." Cohn was especially concerned about complaints from neighbors who are simply hearing an argument or witnessing violence without knowing that it's part of a domestic violence situation. Richard Sykora, with the city counselor's office, said police and city attorneys who work on the problem properties unit are always looking at patterns to determine if domestic violence might be part of the equation, and can use neighborhood orders of protection to help control a situation, even if a victim does not want to press charges. The hope, Sykora said, is that landlords are dissuaded from evicting a domestic violence victim out of fear their property may be declared a nuisance because of calls for service. 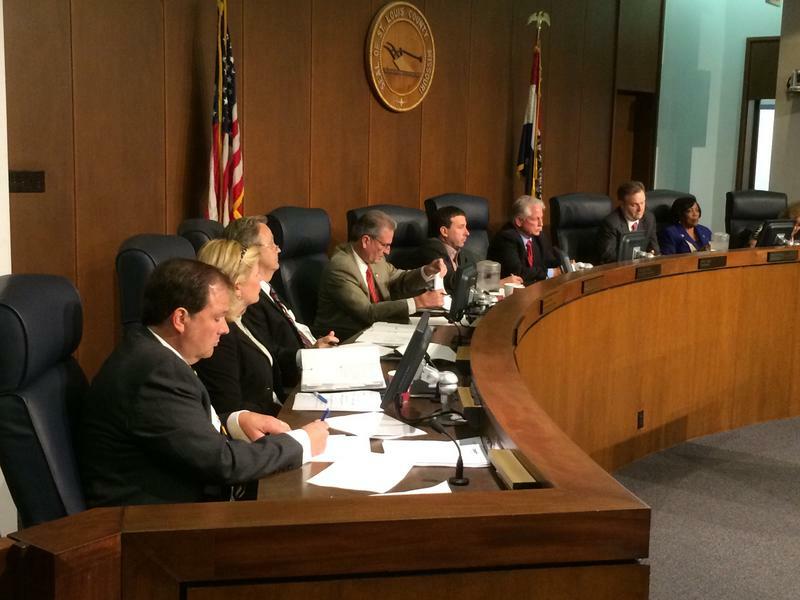 The measure still needs two rounds of approval at the Board of Aldermen before being sent to Mayor Francis Slay. 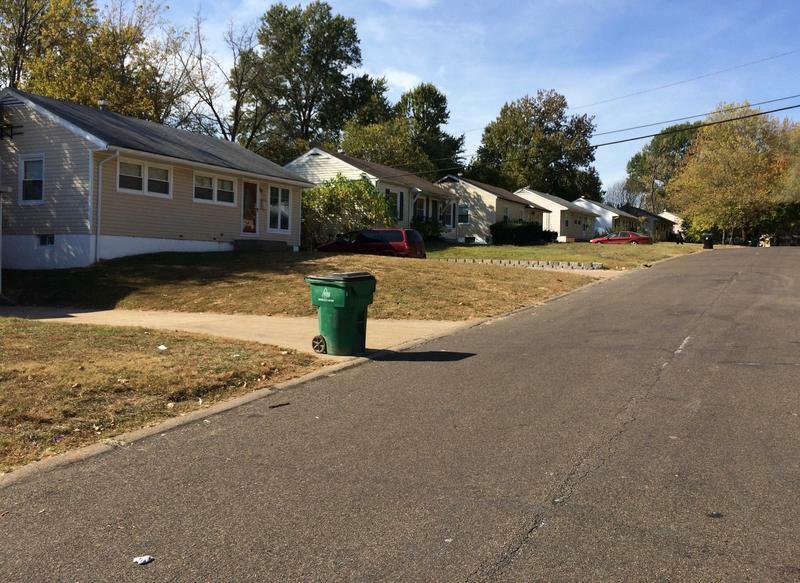 Owners of rental property in unincorporated St. Louis County will have to register with the county — and potentially face closer governmental scrutiny. But critics say they’re planning to go to court over legislation that they contend is overly burdensome against poor and minority tenants. 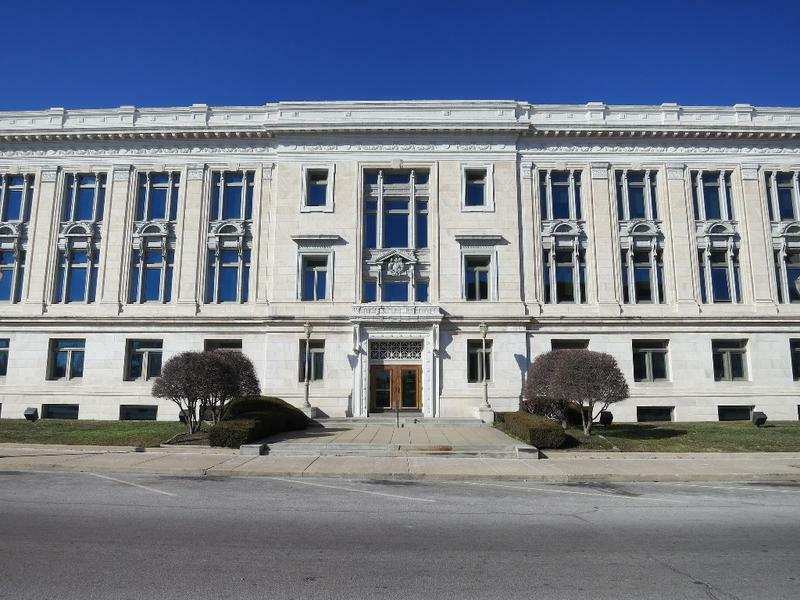 The St. Louis County Council revived stalled legislation requiring owners of rental property in unincorporated St. Louis County to obtain licenses. Yet even though the legislation went through more alterations, the bill’s critics contended they didn’t get enough time to review the changes before they were adopted. Maria Altman highlights what happens when renters face foreclosure. St. Louis, MO – In Missouri, homeowners get at least 20 days notice when banks decide to foreclose. Not so for renters. When a landlord loses a property tenants often don't learn they have to move until a court summons arrives. Legislation making its way through the Missouri General Assembly would help renters, but Maria Altman tells us that some groups say more notice is needed.